Posted on October 8, 2013 by Lena K.
Natsuo Maki, a proper, intelligent and polite high school girl who also takes the position of the student council president, is admired and loved by all the students. However she’s not always her calm and collected self and exactly in a moment in which she lets her actual self show, she meets Riko, a rather boyish and forward girl, who is mostly referred to as “The Wild One”. During this unfortunate meeting, Riko walks in on Maki kissing Huggy (her life-size pillow), trying to hone her kissing skills. 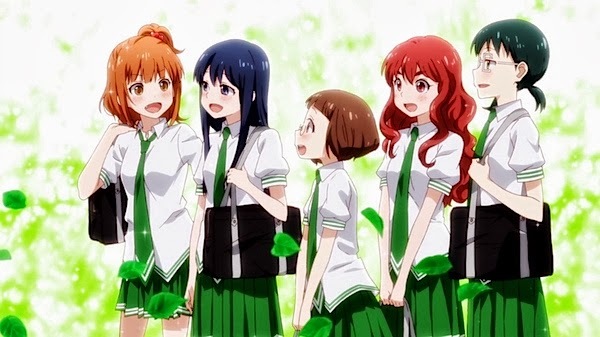 The situation quickly escalates, ending with Riko lying about her (nonexistent) former love experiences, which then leads to her being persuaded into becoming Maki’s “love teacher”. And thus start the hilarious love lessons in the student council room. When I started watching this anime, I didn’t really expect much of it. I just thought that this would be yet another Slice of Life in which cute girls do cute stuff (nothing’s wrong with that by the way). However what I finally got was an excellent comedy show that both started out brilliantly and got better with each and every episode. Now if I had to name my favorite character, it would be Maki because she’s just the most adorable thing ever! I would even say that she’s the cutest anime character of 2013, at least until now. Who could possibly resist her? I mean the way she is just so clueless and desperate to get guys to like her, even though she doesn’t even have to do anything to make them like her in the first place, is the funniest and cutest thing ever. Why didn’t you kiss?! It was the perfect moment! As for the background music I don’t really remember, but there is one song in particular that just overshadowed all the others and that would be the “Lingerie Song” written and performed by Maki’s father. That was just so hilarious and super catchy on top of that! This show is hilarious even though it doesn’t look like it at first. I would even say it’s the funniest show I have watched in 2013, even funnier than Yuyushiki and that must really mean something! I really hope that there will be a second season since a comedy anime as great as this one is quite rare. 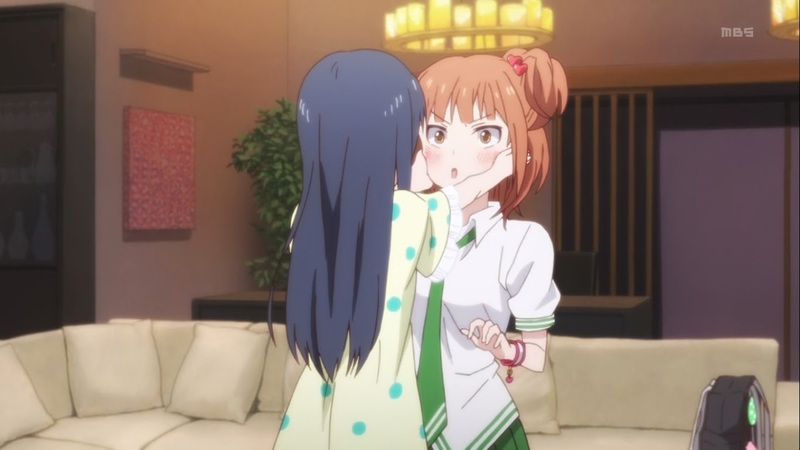 This entry was posted in Anime, Anime Review, Yuri and tagged Love Lab by Lena K.. Bookmark the permalink. Well done Kunoichi-chan. A wonderful review. 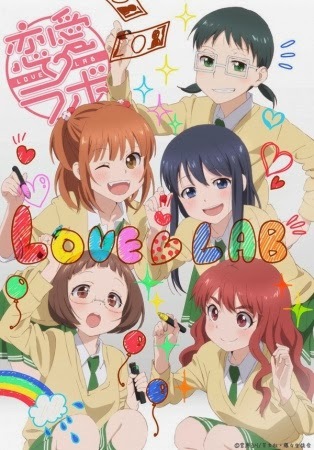 Spread the word of Love Lab's greatness. Spread the word of both Makio and Huggy being separate characters. Spread the word that more Maki X Riko doujins need to be made. Spread that rod that Eno is love. Some of your followers do not know me so it is your duty to capture potential Yuri Nation members who use Twitter and other similar stuff I have no interest in myself. There are people who think that Makio and Huggy are the same character…? 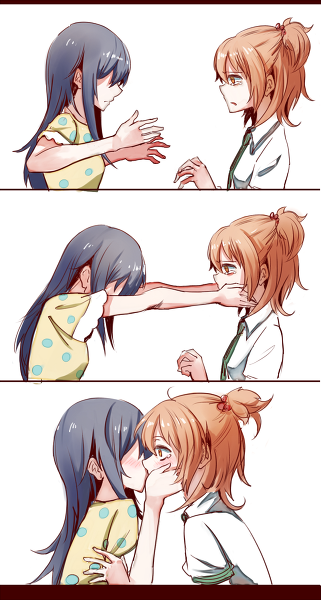 I remember that this anime is actually not Yuri anime, for there's a male role. Quite regrettable. In the manga they get together with the boys, so your fears are correct. A second season with likely show this. Still I'd watch the second season just because this was an extremely fun anime. I agree on that, how dare she? !